Looking down on the spent blossoms...I find it really interesting that these are the leftovers. What you see is what is left after the blossoms have fallen off. 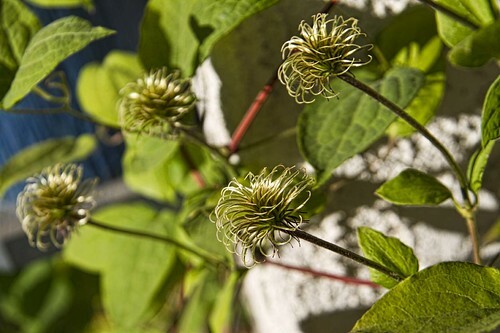 Clematis flowers are so interesting.